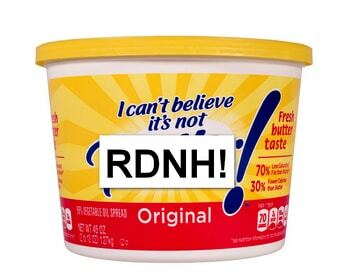 Panelist twists and turns to let SOTI Inc. off the hook for RDNH. SOTI Inc., which uses the domain name Soti.net, filed a UDRP against Strategic Outsource Technologies, Inc., which owns the domain name Soti.com. The latter registered the domain name in 1998 because it was the acronym for his company. He then put the domain name to use. The complaint shockingly states that the domain owner has no rights or legitimate interests in the domain (despite it clearly being an acronym for his business). It also makes assertions about SOTI Inc’s trademark rights without providing any evidence. In the present case the Panel considers the case is finely balanced but ultimately has decided such a finding is not appropriate. It is the case that the Complainant makes no proper attempt to deal with what was readily apparent and indeed recorded in the Complaint – the Respondent registered the Disputed Domain Name long before the Complainant registered its SOTI trademark. No attempt has been made to explain how or why the Respondent should have been aware of the Complainant’s alleged business under the SOTI mark at the time the Disputed Domain Name was registered. It must have been apparent to the Complainant that the Respondent would say he was operating a bona fide business called “Strategic Outsource Technologies Inc.”, and that he independently chose the Disputed Domain Name as corresponding to an acronym for that business. However, it seems to the Panel that the Complainant’s failure to address this issue may be as a result of a misapprehension on the Complainant’s part as to what it has to show. The Panel also has noted that the nature and content of Respondent’s website (as described above) does appear to be rather odd, and provides at least some support for the Complainant concluding there was a case to be answered. The Panel also notes the Respondent has not provided any further statement responding to the Complainant’s Supplemental Statement. Taking all of this together the Panel does not think it appropriate to conclude this case was brought in bad faith. When I read that statement, it seems like the panelist was trying to find a justification for not finding reverse domain name hijacking. Seems those panelist are being paid behind closed doors .I wont be surprised.Clearly a RDNH. Same old., same old. It’s obvious who Nick is working for. There has been many similar cases these days. I remember way back in 2001 registering a domain which was similar to a big launch of a website. They tried to intimidate me with legal proceedings but had to back down when I informed them that the domain was registered even before they started operation. Since there is no unified brand registration and companies can have same name in different countries, I have seen there is a definite favourism towards developed countries. I recently lost a domain name to Osram.